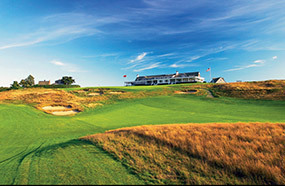 The oldest incorporated golf club in America, Shinnecock Hills was founded in 1891 by wealthy New York businessmen who were introduced to the game during a visit to France the previous year. William Vanderbilt and a group of his Long Island associates had discovered golf while staying in the resort town of Biarritz, and returned to America determined to establish a club upon the shimmering dunes of Southampton. 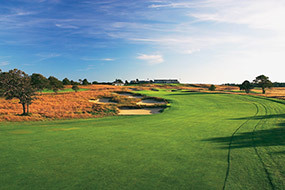 Laid out to the south of its elevated clubhouse, Shinnecock’s first twelve holes were created by Royal Montreal professional Willie Davis but extended to eighteen holes in 1895 by Biarritz designer Willie Dunn. 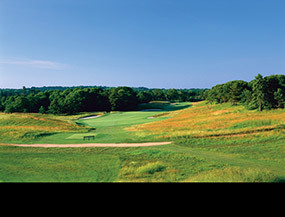 Between the Dunn course and William Flynn’s 1931 masterpiece, the Shinnecock holes were continually shifted and revised, most significantly around 1917 when Charles Blair Macdonald and Seth Raynor altered the layout to eliminate dangerous railroad crossings. Shortly afterwards, however, a decision to extend the Long Island highway through Southampton forced the club to move again. This time Philadelphia-based architect William Flynn was hired to assist with the redesign. 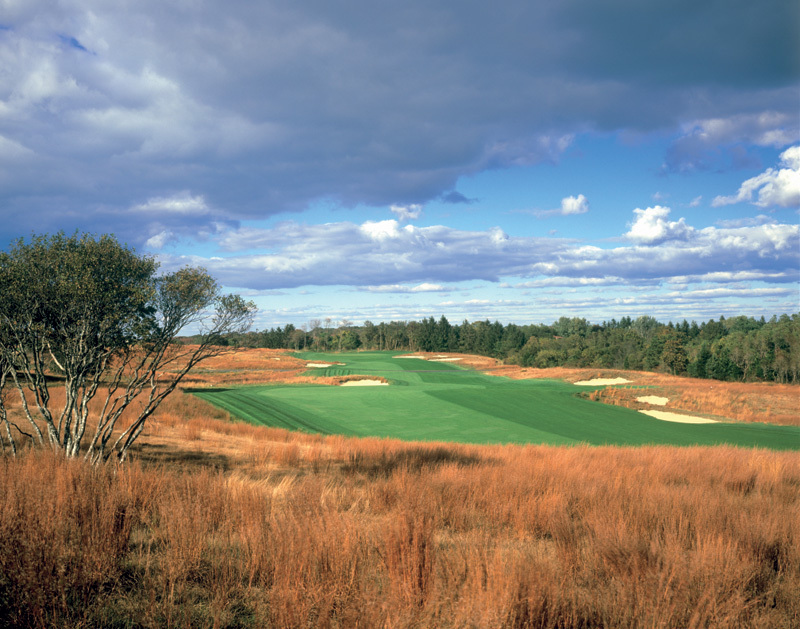 Pushed entirely into the northern sandhills, the Flynn course comprised of twelve new holes and six that were reshaped from the Macdonald/Raynor layout, most notably the controversial Redan 7th. Flowing naturally across the rolling terrain, Flynn did a marvellous job tying the existing green sites and his new design features into such an exciting and coherent creation. Changing direction continually to take advantage of both the constant trade winds and the dramatic pitch and fall of the property, the routing is highly sophisticated and constantly engaging. 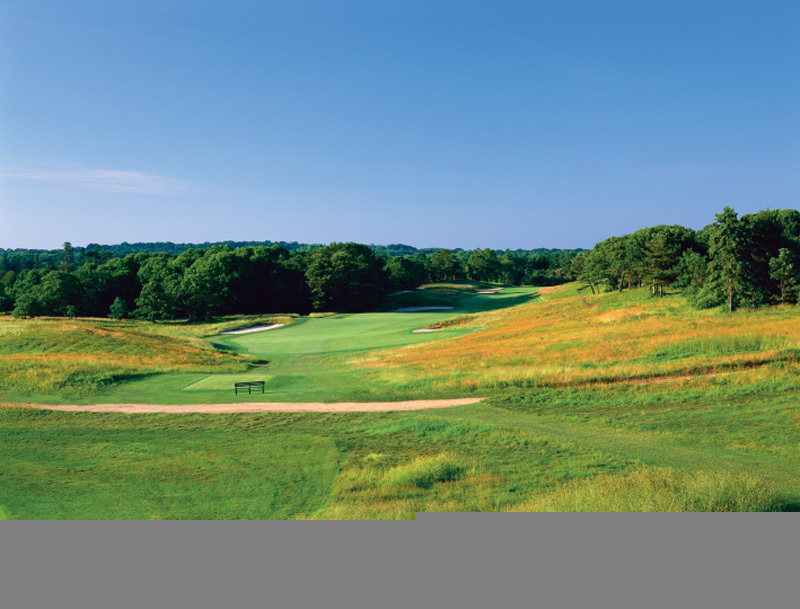 The design is also first-class, the lumpy fairways attractively lined by tall bluestem and waving fescue grasses and par defended by rugged, punishing bunker shapes and complicated green sites that are often crowned or built with a pronounced tilt. The sense that Shinnecock is special hits the very moment you arrive here. 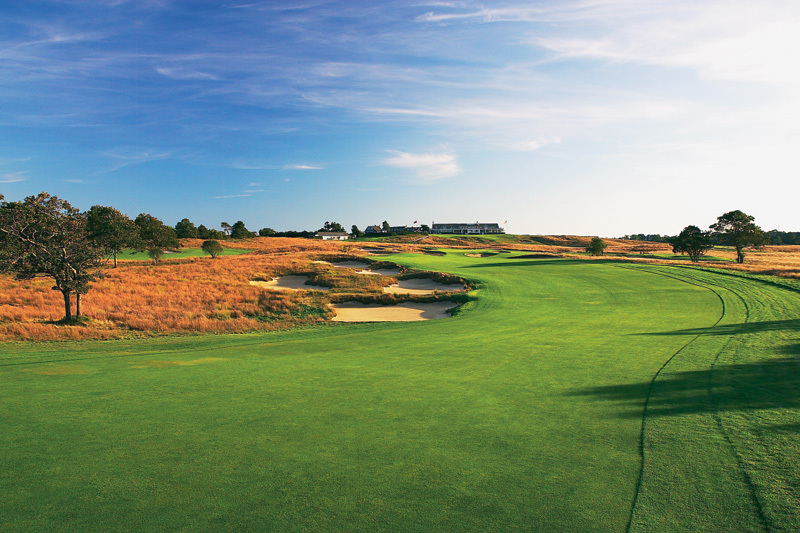 Soaking up the historic ambience from the club’s iconic weatherboard clubhouse, expectant golfers look down upon a course draped beautifully across the windswept undulations of Suffolk County. The opening holes do little to damper enthusiasm. Turning gently around deep bunkers toward a green angled cleverly to reward those who take a tight line from the tee, the 1st is a wonderfully strategic par four and just about the ideal opener for a course of such quality. The next is an awesome long par three, the tee shot played across a bunkered ridge and into a target built atop a distant plateau. 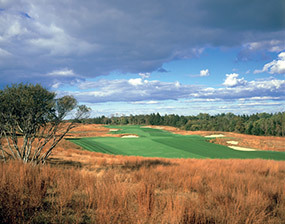 Of the remaining outward holes, standouts include the multi-route par five 5th, where the harder you strive for birdie the more sand you must attack, and the steeply rising 9th, which crosses a series of ridges and leads players onto an inward nine that, hole for hole, is one of the finest in existence. The back nine begins with a wildly undulating par four, its putting surface perched atop a precipitous ridge and either approached with a long iron from a level lie or with a blind wedge from down in the sunken valley. Next is a short uphill par three with a small target resting cruelling on an exposed ledge and falling away sharply on all sides. Lined by tall roughs and deep traps, the 12th is a long and direct par four that may seem relatively uncomplicated yet is proficient at exposing any weakness in your game. Another seemingly straightforward gem is the 14th, an uphill par four heading through a narrow valley toward a saddle green that is much easier to hit and hold for those able to hug the dangerous hillside on the right. Concluding the round is another perfectly balanced stretch of holes, an all-world par five at the 16th is followed by an expertly bunkered short hole and a terrific par four closer that rolls across a series of lovely ridges. Renowned for being tough but fair, ultimately what makes Shinnecock Hills such an outstanding golf course is the absence of any pedestrian moments and the fact that so many world-class holes dot its glorious landscape. Strangely, about the only time the layout disappoints is when set-up for modern championship events, the narrowing of its fairways tending to render the strategic lines invalid and offering little chance to attack or hit fun recovery shots when out of position. For regular play, however, Shinnecock is simply superb. 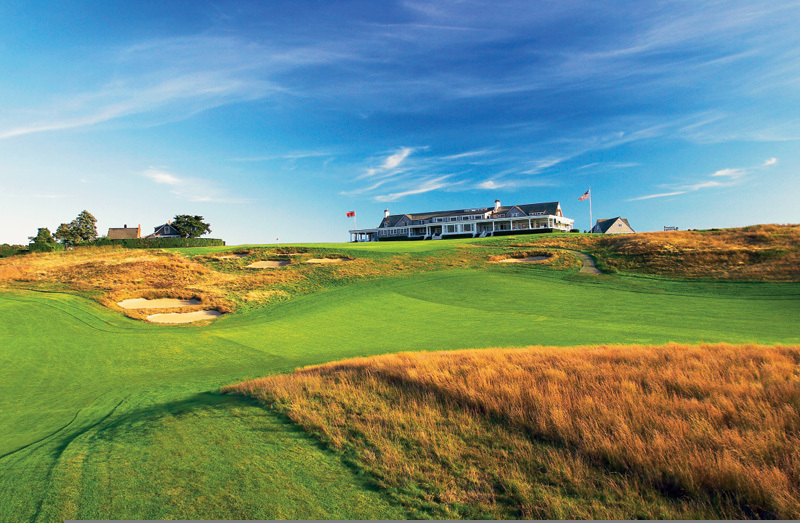 If it isn’t the best course in America, it is certainly one of the leading contenders.